The discovery was unearthed just five days into Mazar’s latest phase of the Ophel excavations, and can be dated to the late Byzantine period (early seventh century). The gold treasure was discovered in a ruined Byzantine public structure a mere 50 meters from the Temple Mount’s southern wall. 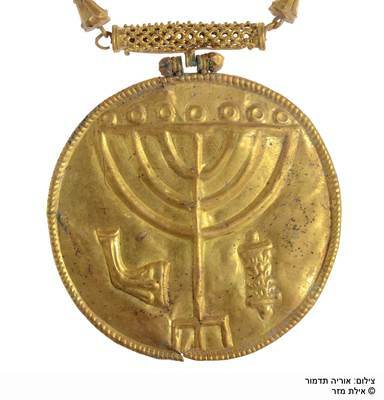 The Ophel cache is only the third collection of gold coins to be found in archaeological excavations in Jerusalem, said Lior Sandberg, numismatics specialist at the Institute of Archaeology. “The thirty-six gold coins can be dated to the reigns of different Byzantine emperors, ranging from the middle of the fourth century to the early seventh century,” said Sandberg. Mazar’s Ophel excavation made headlines earlier this year when she announced the 2012 discovery of an ancient Hebrew inscription, the earliest alphabetical written text ever uncovered in Jerusalem.